The Office of Human Resources (OHR) is thrilled to announce that Lisa Garland will be the new Director of Talent Acquisition, starting on February 11, 2019. Lisa is currently the diversity and multi-cultural program manager for the University’s Office of Diversity and Inclusion (ODI). Within ODI, she serves many roles and, as a senior leader, has been successful in developing and implementing recruitment and retention strategies focused on building a diverse workforce, while also overseeing the daily operations of ODI. 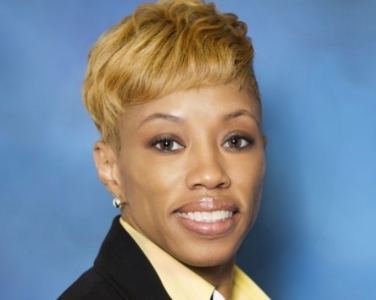 Before her role in ODI, Lisa spent 17 years at Highmark Health as a program operations manager, senior talent recruiter and consultant, and finally as university relations and diversity recruitment program manager. Lisa’s experience includes full-cycle recruiting that is consistent with strategic planning, organization, coordination; relationship liaising; and managing a temporary staffing agency, as well as the implementation of recruitment processes all while driving new recruiting and sourcing channels to evoke a strong talent pipeline. Additionally, she directed the operations and execution of a standardized process for niche recruiting by making recommendations and creating Service Level Agreements around processes, procedures, and requisition management to streamline, simplify, and propel data-driven decisions. Lisa’s leadership experience includes managing a recruitment team in multi-site operations—creating and implementing a hybrid recruiting strategy and model for contingent and full-time employees, while ensuring compliance to all federal and state employment laws. OHR is excited to welcome Lisa to the Talent Acquisition team!